The White House said that there is need to carry on reforms in H-1B to keep more talented graduates in this country. Donald Trump is looking for ways to attract highly skilled foreign workers, a White House official said. 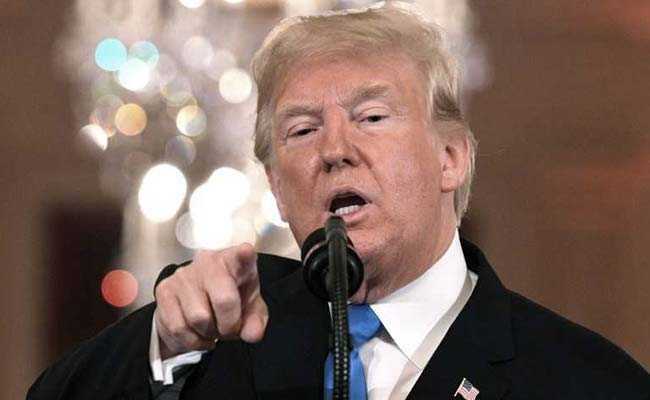 The Donald Trump administration wants to make changes in the existing H-1B provisions for it to play a better role in attracting highly skilled foreign workers as opposed to the what it has now evolved into an "outsourcing" role, the White House said Thursday. "The president's overall instinct -- and he said this publicly a number of times -- he wants to find ways to make sure that people who graduate in a highly skilled area like technology stay in the country. He finds that a very positive part of the overall immigration," White House Deputy Chief of Staff for Policy Coordination Chris Liddell told a Washington audience on Thursday. During the Washington Post's live discussion on new technology, when asked about the president's thoughts on H-1B immigration, Liddell said, "He (Trump) has talked about merit immigration, clearly that (H-1B) fits in merit immigration." At the same time, he acknowledged that legislatively, the issue might get caught up in a border discussion. "To the extent that we can from a regulatory point of view rather than a legislative point of view, because the H-1B system to a large extent is governed by legislation -- but to the extent that we can modify the regulatory point of view to promote it to be more highly skilled as opposed to outsourcing roles, there's 1,20,000 H-1Bs. So it's quite a big pool," the White House official said. "Traditionally, unfortunately they have gone to lower-skilled outsourcing types of jobs," Liddell said. The Trump administration, he said, would love to find ways to change that as more people are coming out with PhDs in the tech sector. "So the president is 100 per cent aligned with that. We'll try and do it as much as we can by regulatory; if it can be done legislatively as well in some way that would as part of a merit-based system, that would be fantastic," Liddell said. The top White House official emphasised that there is need to carry on reforms in H-1B to keep more talented graduates in this country. This is an incredibly constructive part of the immigration debate, which, unfortunately doesn't get a lot of focus, he said. Liddell said President Trump has repeatedly spoken about merit-based reform as part of the immigration platform. The Silicon Valley and the tech industry should welcome that as a concept, he said. "Relatively, as a country, a very small proportion of the people who come in as legal immigrants do it on a merit-based system relative to any other country I know," he said. "So promoting the concept of merit-based immigration, which clearly would be at least partially orientated towards the tech sector, I would think that there should be a high degree of alignment on," Liddell said.